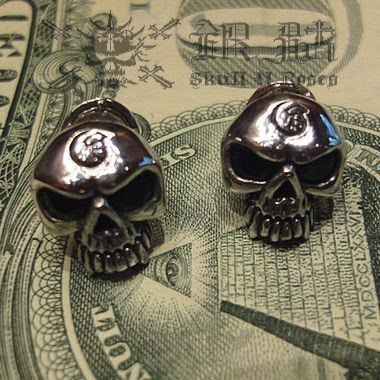 Small Half Skull Earrings made in .925 sterling silver. Eyes set with stones of your choice: onyx, cz, garnet. Price: $55 pair. Contact Mr Skull N Roses.